Speak English Center Hiring a native English speaker is not discrimination. Some language schools only hire teachers who are native speakers of the language. That’s what customers want, that’s what a good language school provides. But is this discrimination? TEFL (teaching English as a foreign language) seem to think so. In fact, international TEFL did a survey and found that “there is a significant disparity in pay between similarly qualified non-native speaker teachers and their native speaking counterparts”. Out of 271 people, 40% of non-native speaking teachers claim to have encountered discrimination because they’re not native speakers. According to the survey, an average native speaker makes 6.46 € more per hour. This sounds like a lot but TEFL says that other things need to be taken into consideration, like experience, qualification etc. The highest pay is given to native speakers with a Master’s degree or higher. Not many people can agree with TEFL on this one. Why would you want to learn a language from anyone but a native speaker? Does this even make any sense? The best person to teach English would be a native English speaker because English comes naturally to that person. I wouldn’t expect a Russian to teach Chinese, not if I could get a Chinese person to teach it. So why is it called discrimination when we prefer a native English speaker to teach English? Native English speakers have a better command of idiomatic language and slang that you just can’t teach in a natural way if English is not your native language. They almost always have a wider and more expressive vocabulary. They just feel more comfortable with the language and can hence use it in a dynamic and playful way, more-so than a non-native ever could. Native speaking teachers often demonstrate very different teaching techniques which are better accepted by the students than if a non-native were to use them. In a way, these techniques might even add a cultural aspect to the lessons. Students generally feel more comfortable speaking in class when their teacher is a native speaker. 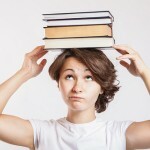 The fact that the teacher is a native speaker acts as an unconscious trigger for the students. Students also are motivated by the thought that the accent is genuine and hope to pronounce as well as their teacher. At any rate, I do not believe that hiring the best person for the job is discrimination. I hire native speakers at Speak English Center because I truly believe that the quality is better when the person is a native. Obviously that’s not my only criterion. I also look at experience and education. My teachers are some of the higher paid teachers in the area and I’m very proud of them. 8 years of French classes and I still didn’t speak the language. I am not going to argue whether employing only native speakers is discrimination, but I’d like to pick up on a few points made in the article. First of all, I think the claim that not many people can agree with TEFL is completely unfounded. Surely we have no way of knowing how many people regard the practice of hiring NESTs as discriminatory. ‘Why would you want to learn a language from anyone but a native speaker? Does this even make any sense?’, the author wonders, or rather clearly expresses his opinion, as this is obviously a rhetorical question. Well, I can think of a few reasons as to why someone might want to employ a non-NEST. Firstly, there aren’t enough qualified NESTs who’d teach all those learning English all over the world. Secondly, most NESTs start teaching after a month’s course. Having done CELTA myself, I met several native speakers who prior to the course did not know the names of various tenses in English. Their decision to do the course and get into teaching was mainly driven by a desire to travel around the world and they saw teaching as a means to an end. Unlike most NESTs, non-NESTs have a degree in the English language and literature, having spent years learning grammar rules which they can later easily explain to their students. I think I won’t be mistaken if I say a large number of NESTs don’t speak fluently any other language but their own, which may make it harder for them to put themselves in their students’ shoes and feel what it is like to master a foreign language. While I agree with the point that native English speakers have a better command of idiomatic language and slang, I can’t see the reason why non-NESTs wouldn’t be capable of teaching idioms in a natural way if they have acquired the language they are supposed the teach. As a matter of fact, teachers whose mother tongue is the same as that of their students’ know which idioms are similar in the two languages and they can make analogies and pay more attention to the idiomatic expressions that will be more difficult for students to learn. ‘Native speaking teachers often demonstrate very different teaching techniques which are better accepted by the students than if a non-native were to use them.’ I wonder what teaching techniques the author had in mind when he wrote this. I am aware of the fact that different teachers tend to have different teaching techniques, but I didn’t know there were some secret techniques known only to NESTs. Lastly, I believe the statement that ‘students generally feel more comfortable speaking in class when their teacher is a native speaker’ is pure conjecture. On the contrary, I think students may be quite self-conscious when talking to a native speaker. On top of that, some NESTs tend to speak very fast, not trying hard enough to grade their language, which may lead to confusion and frustration on the part of the students. We all know that listening to a native speaker twice or three times a week is not enough to turn us into fluent speakers. Students become more fluent mainly by being exposed to the language for extended periods of time and not only by attending a few English classes a week. Many employers may still prefer employing native English speakers, but I don’t think they necessarily make better teachers and more importantly, I am not sure they are more successful at helping their students become confident and fluent speakers. Nick, why do you make all these assumptions? You’re assuming that the native speakers I’m talking about just want to teach in order to travel and that they don’t speak any other language. 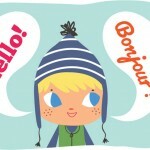 I’m mostly talking about my experience in this article and the native speakers I’m talking about live here in France. They obviously had to learn French in order to live here. A lot of them find it hard to find other jobs because their French isn’t as good and yes, some of them end up teaching English because that’s the oppertunity that is presented to them. When I talk about teaching techniques I mean from a cultural perspective. An American teacher will teach English in a way that French people wouldn’t just because the French teaching methods in general are very different. At any rate customers want native speakers so that’s what we have to offer. And personally, I would rather learn Spanish from a Spanish person then a French person. First of all, let me ask you something. Would you feel better if your child was taught by a waitress from Texas (mind yourself, a native speaker) or a European teacher with an MA degree in English language and literature? Well, I am 25 and I come from a relatively small country in Europe (most people have never even heard of Serbia). I majored in English language and literature two years ago and ever since I have been working as a full time English teacher. I have never been disheartened by all those schools looking exclusively for native speakers. Furthermore, I applied even though I hadn’t met all the requirements. After couple of weeks I set up an interview with a school that only worked with “teachers” from UK. Somehow I managed to convince them to give me a chance. It’s been a year since that interview and in January I am going to renew my contract. I was offered a position of Head of Foreign Teachers’ Department. My salary is high and I give lectures to other teachers as well, on regular basis. To conclude, I am not a native speaker and I don’t have TEFL, TESOL or CELTA. However, I studied English for 18 years and I have degree that testifies that I am an ESL teacher (a label that has been misused lately). As for the teaching methods and techniques, I am proud to say that I designed a syllabus for Middle schools that is now used by all the NATIVE SPEAKERS in 3 different countries. I don’t wish to discriminate anyone but think about the motives of people who apply for teaching positions. 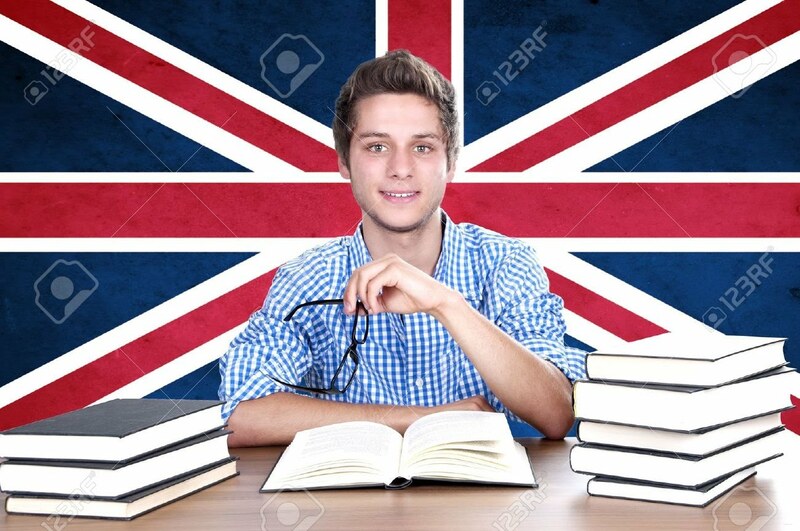 A native speaker who has nothing to do with teaching but simplyoys travelling or a legitimate English teacher qualified and capable of much more than you can imagine? I totally agree with you Gordana. I’m sure that someone with your experience would be a great addition to an English school, as you have proven. I don’t want to say that being a native speaker is the only requirement for hiring a language teacher. I give all applicants a chance when I’m recruiting. If on your CV you tell me you’ve learned English over an 18 year time span then I would definitely call you. However, if the applicants accent is really strong then I can’t hire that person. If they have a slight accent then that’s ok because accents change from one English speaking country to another. My clients want natives, if all things are equal then the native gets the job. If you speak like a native, to me you’re a native! It sounds that you have opened a very questionable concern Soad. Your name is Arabic, NOT a NESTs name, did you notice that before? I agree with one certain assumption that you argue – All NES SPEAK natural English. However, the question is: can they naturally teach? I guess the answer is sustainable. Teaching is a profession and a considerable number of the NES teachers take it as a job, especially when they work at an institution in one of the third world countries. Other skills rather than the mother tongue are significantly missing. I have over 18 years of teaching English as ESl, ESP, EFL and EAP and I have worked with NEST from all over the NES countries. Most of them really needed serious HELP when it comes to teaching. Yes my name is Arabic, I know that and I speak Arabic, in fact I’m trilingual. I never said in my article that it’s better to hire people with certain names. I also never claimed that all native English speakers naturally teach. I said that if you have a native speaker (of any language) who has the same qualifications and experience as a non-native, choosing the native is not discrimination. That’s all I’m trying to get at. Probably the most racist, borderline supremacist article even seen and come across. Just plain ignorance. A series of blanket statements with no data to support them (if you have data demonstrating the more effectiveness of native-speakers, please, show them to the world, illuminate us). I am a German speaker myself and have been hired lots of time to teach English. Maybe my accent is not as heavy as that of Angela Markel’s, maybe because I started learning English in 1982, but I have always been hired even if non-native and told to be as competent as a native. I am not impressed, at all. Racist & supremacist? In what way, Marco? The author of the article made no reference to race nor the superiority of any one ethnicity or ideology. He simply made his case as to why he prefers to hire native English-speaking teachers who, presumably, could belong to any race or ethnicity as long as they grew up speaking English as their native tongue. Is the practice justifiable? Perhaps it is, perhaps it isn’t. That said, I do think that if a non-native possesses a superb command of English with outstanding grammar, pronunciation, spelling, reading comprehension, and a profound understanding of colloquial expressions and phrases that are commonplace in English-speaking countries, then that person is likely more than highly qualified for any job as an English language instructor. Even if you claim it is justified, using native over non-native as the determining factor in your hiring process “if all things are equal then the native gets the job” is absolutely discrimination. Your clients may want this, but if true, an employer devoted to this language learning industry would aim to change this ignorance. The fact that your clients want this (coupled with the vague, groundless claims in your post) does not the best person for the job make. Ultimately your clients will also be the non-native speakers in whatever field they enter, some of whom could be language teachers themselves. Obviously you haven’t had advanced training in the field, or you would’ve had better guidance during this part of your TESOL education (one hopes). You represent some very strong widely-held myths in our field, and I find it a shame that you are in a position of authority. But there is always time to learn more. First off, nobody can even take this article seriously. Your writing style is saturated with bias. Consider: “40% of non-native speaking teachers claim to have encountered discrimination”. Your use of the verb “claim” proves immediately that you haven’t witnessed this discrimination, and therefore equate it to a mythical unicorn because it’s outside of your realm of experience. Your use of “a native” and “a non-native” to refer to TESOL professionals is offensive (would you say “a black” rather than “a black person” or “an illegal” rather than “an illegal immigrant”?) and an additional marker of your ignorance around this debate as well as your lack of research on NEST and NNEST issues. You share with us how you “hire the best person” rather than hire the most effective language teacher. Thank you for confirming your lack of professionalism in your hiring practices. Furthermore, you make statements like “The best person to teach English would be a native English speaker because English comes naturally to that person” that are just plain false. Many people with English as their first language are terrible at grammar and completely unaware of the structure behind how they speak. Additionally, “Native speaking teachers often demonstrate very different teaching techniques which are better accepted by the students than if a non-native were to use them” is bogus. In fact, students often prefer teaching styles they are comfortable with; there are enough challenges in language learning as it is. You are doing your students an incredible disservice by not exposing them to a variety of teaching styles, cultural input, and accents (by “genuine accent” I’m assuming you mean a Californian accent? Or wait, a British accent? Or maybe a Canadian accent? Or perhaps the genuine “native” accent of Indian English speakers? Yes…my point exactly.) I hope you realize that you’ve just delegitimized your school by publishing this article. Good luck to you. Again, I’d like to really stress that I do hire people who aren’t officially considered natives but to me their English is just as good as a native. I also would like to remind you that the reason why I opperate this way is because I’m replying to my customers demands. I offer what the customer wants and for the moment that’s what it is they’re looking for. Sorry if this upsets some people. Hiring the best person IS hiring the most effective language teacher, sorry if you didn’t understand that. I did not delegitimize my school because again, I’m answering to my customers needs, this isn’t a public institution, and my customers often ask for specific accents. Some want American, others want British (just for info: Canadian and American accents are very similar depending on where in the US you’re talking about, I myself am Canadian). They put in their request and I deliver. Sorry you don’t agree with the way I do business but it’s business, not public education. Thanks for your comments and good luck to you too. well what can I say? I am a non-native speaker and I find this article really offensive, I love teaching and I have been working as an English teacher for four years and “being native” doesnt mean being a good teacher, at the place where I work, I have seen many native teachers whose techniques were reading a book in class,…and the problem is that they don´t know how to teach(most of them don´t feel any vocation for teaching so they don´t wanna improve) , and the thing is that students usually tell be that they love my clases(I am Colombian), so what have you based your opinions on? I think it´s just plain ignorance to be honest….I am a bit sad to have to put up with these kind of rude statements…. well, You cannot do business discriminating people, you´re Canadian, so might have not experienced it, but I have, and I can tell you how it hurts… and yes as someone has already mentioned you are undermining the work of a lot of people like me, you´re really delegitimizing your school, I would never go to a school like yours, even if I were studying another language and they offer “native teachers”,(I think I will show my students this website so as they can tell you what they think) I have had to help my British friends in Madrid because they are completely lost when it comes to teaching…yes, you´re right, it is what companies are looking for (because they have no idea how the business works,) but you are supporting this by writing things like these which I might have believed if I hadn´t been working as a teacher myself for 5 years….Well I think I will try to control myself because you´re article has really rubbed me up the wrong way, I am just glad there are reasonable people around here as well…. This article is wrong on so many levels I’m afraid. When it comes to teaching English, it is ability that counts, and that is something which is not determined by such arbitrary labels as “native” and “non-native”, but by actual hard work and dedication. I’ve known so called native English speakers who couldn’t teach if their lives depended on it. I’ve always suspected that the whole “native” idea reflects ulterior motives on the part of schools to hire caucasian teachers. Your approach is misinformed at best for the very reasons most of the commenters posited. We’re not talking about a language which is regional or national; we’re talking about a language which is vastly global in its reach. You may have citizens from countries where English is the official second language or the official language of a non-native English speaking country (ie. Nigeria, Philippines, etc.). They have command of the English language and are near native if not not native in fluency. Where exactly is the onus then on employing strictly “native speakers”? Also, it is proven that one who has undergone the same language acquisition process as his/her students would be more apt to help students overcome obstacles to language learning, more so than a native speaker who can only speak English. It would be better to research a bit before making such claims. Native speaker does not equal excellent teacher. That is an ignorant stance at best.